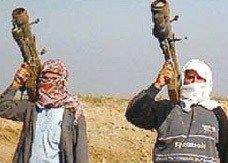 Commercial aircrafts & helicopters are extremely vulnerable to missiles launches from shoulders of enemies or terrorists. The MUSIC Systems will detect the missiles & deflect them away to explore at a safe distance from the aircraft. Israeli company Elbit Systems has unveiled a full-size model of its commercial multi-spectral infrared countermeasure (C-MUSIC) system for the protection of large jet aircraft against man-portable missiles at the show. The pod is 2.7m (9ft) long and will be carried under an aircraft’s belly. The pod at the show is fitted with see-through windows to enable visitors to examine the advanced fibre laser-based DIRCM mirror turret developed by Elbit Systems Electro-optics (Elop), as well as the infrared Passive Approach Warning System (PAWS) sensors developed by Elbit Systems Elisra. C-MUSIC is designed to protect large jet aircraft against portable heat-seeking surface-to-air missiles, known as MANPADS. Based on MUSIC systems currently in use on helicopters and medium turboprop fixed-wing aircraft, C-MUSIC’s fibre laser-directed infrared countermeasure technology creates a laser beam that is directed towards the tracked missile, effectively defeating the incoming threat. According to the Israeli company, the pod is modified specifically for the stringent demands of commercial aviation, C-MUSIC can be tailored to jet aircraft of all sizes and its fully automatic operation has no impact on the flight crew workload. C-MUSIC has been selected by the Israeli Ministry of Transportation to protect the entire Israeli commercial fleet. It includes certification to FAR-25 requirements by the Civil Aviation Authority of Israel. Elbit Systems is now offering the system to the international market.